Today is Friday, and across the nation people write or shout TGIF—Thank God It’s Friday. An ordinary Friday comes once every 7 days, but this extraordinary Friday comes just once a year. The story of this Friday began in the Garden of Eden and the disobedience of Adam and Eve. The moment Adam broke the rules established by God, he ran from his Creator. Before Adam was even out of breath, God began pursuing him; and, this was a game of hide and seek that Adam wasn’t going to win. While Adam and Eve hid in fear, God pursued them in His mercy. Freshly embarrassed by his awakened conscious and bare body, Adam tried to cover himself with fig leaves, but this wouldn’t do. God extended His grace and clothed the first couple with animal skins. The very first ounce of blood that was spilled on creation in its infancy was by the eternal hand of our holy God. He did not withhold His grace because of their sin; instead, grace was given in spite of their sin. Years later, Paul wrote: “the wages of sin is death, but the gift of God is eternal life in Christ Jesus our Lord.” Because Adam and Eve had sinned innocent animals (probably sheep) had to die. 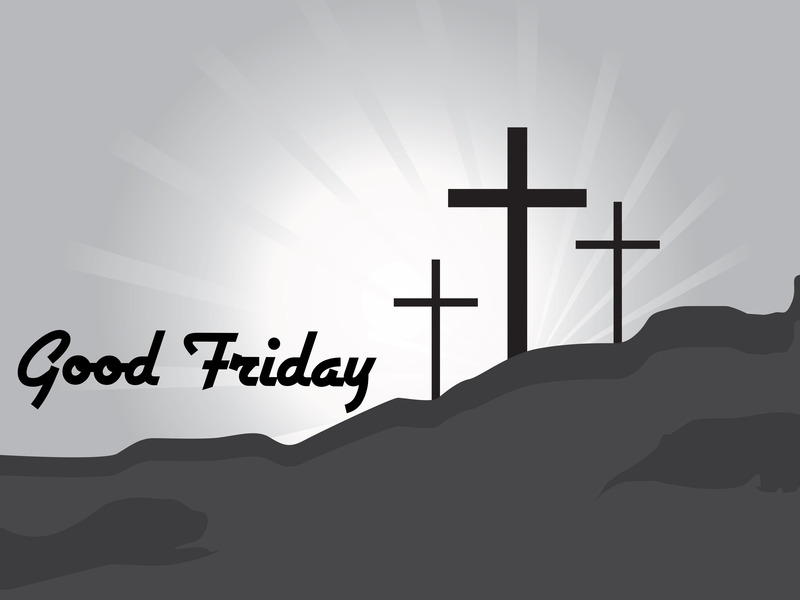 Year after year, the significance of this day was hidden in shadows and symbolism until about 33 A.D.—Good Friday. This day was announced 3 years in advance by John the Baptist when he said: Behold the Lamb of God who takes away the sin of the world. Today is the Friday that we remember His death, and this Sunday will be the day we celebrate the resurrection and the hope of Easter. Yes, TGIF is an appropriate expression for today.